One of my favorite authors, April Pulley Sayre, pinged me on her blog! She calls me a “cool librarian” (okay, so maybe that’s an oxymoron, but who am I to argue with such a wordsmith?). Anyway, I have been a fan of Sayre’s for a long time. 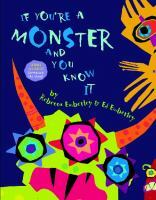 She’s one of those rare authors who can write fascinating, engaging books for kids of all ages. 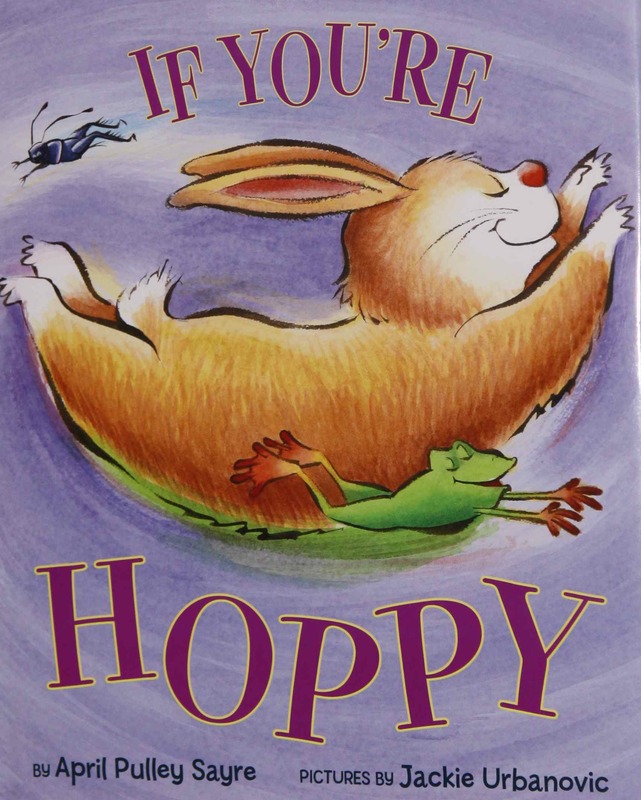 Her latest If You’re Hoppy, is already on our Best Books of 2011 list. 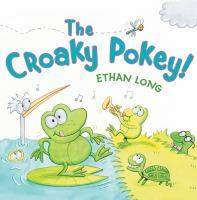 It’s an awesome singable picture book (SPB). The concept for this book is singularly brilliant. I was all, “Where has this book been all my life! ?” So thank you, Ms. Sayre, for filling a void I didn’t know was there! 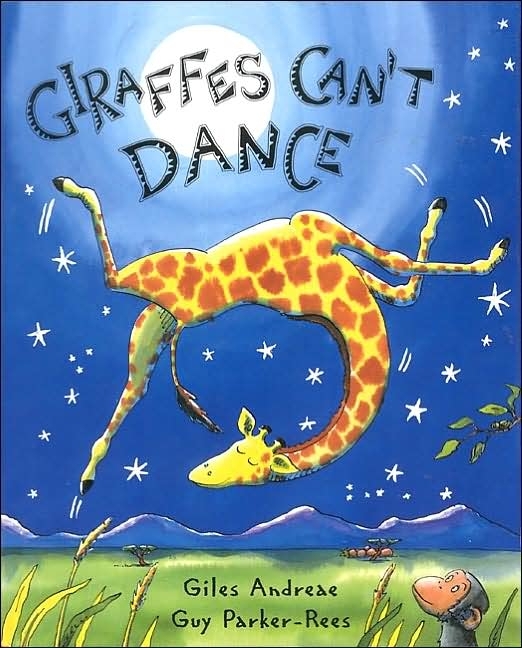 **Giraffes Can’t Dance is a sneaky one. My co-worker discovered that the rhythm of this rhyming picture books is in the exact same meter as Miss Suzy Had a Steamboat. 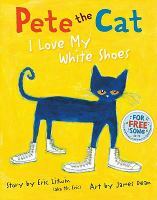 Singing this book makes it a very enjoyable read-aloud. Requires little preparation, planning, and $. Gives young children a great opportunity to get some energy out without disturbing other patrons. Strenghtens bonds with the youngest patrons and their parents. I get about a million hugs after dance parties. Even the shyest kids who hide behind their moms when they first enter the room, feel comfortable with me by the end of the hour. I’ve seen these same kids start showing up at storytime the next week. Often, they’ll plop down at the front of the room, totally comfortable, confident, and ready to participate. This isn’t the most scientific conclusion, but I see many of the behaviors discussed in this Zero to Three Article reflected in the children who attend Bibliobops. Anyway it’s a little food for thought. Categories: ALL, Bibliobop (music in the library), Early Literacy, Libraries | Permalink. Another great dance picture book is HILDA MUST BE DANCING by Karma Wilson. One of my favorites! You should! it’s the easiest program to set up, and it’s ridiculously fun every time. something memorably silly always happens at bibliobop. You might especially enjoy the Singable Bookshelves which are filled with SPBs organized alphabetically by title. Cover images and author/composer info are listed. Many titles are linked to articles I wrote about the song/book with everything from YouTubes to sing along resources, to song history (and more!). Lots of info and resources are there and I hope you can check it all out and use some of the info for your storytimes. I regularly perform “Sing Books” gatherings at schools, libraries, bookstores, and private parties. SOOOOO much fun and it is my passion…along with my life as a mom, wife, and cabaret artist (http://singbookswithemily.wordpress.com/sing-books-with-emily-the-cabaret/). It is AMAZING how many wonderful Singable Picture Books there are out there and how much educational, social, and cultural value they embody! All my best wishes to you and with many thanks for sharing your passion for storytime! !